There are a handful of hard warmers already available on the tactical gear market. 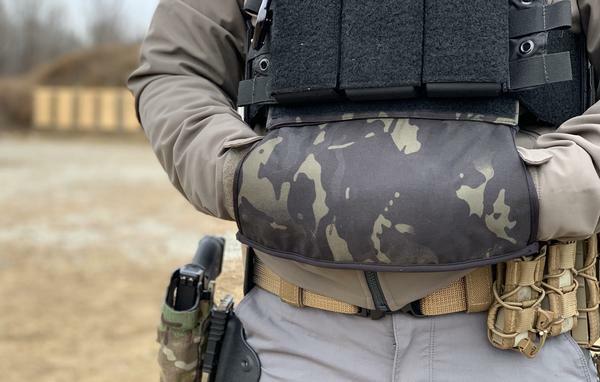 The new IceShield Plate Carrier Hand Warmer from Qore Performance is different in one key way from these other muff style warmers… It lays almost completely flat when it isn’t in use. This makes it very low profile and even allows it to be worn behind most drop pouches. 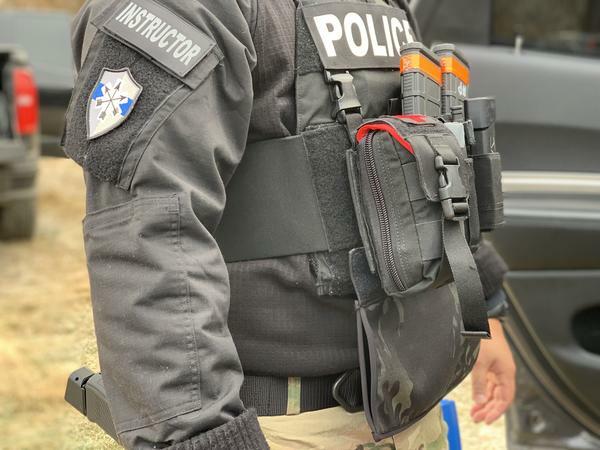 IceShield secures to a plate carrier (or even some chest rigs that have hook/loop fields on the back) via a hook and loop tab that can be sandwiched into the cummerbund flap. It’s lined with PolarTec insulation and has internal pockets for use with heat packs. IceShield is available in high visibility green with reflective strip, Multicam, and Multicam Black.